Talk about a crazy week! The HLHB Trend-Catcher system scored its first losing week since I started forward-testing it on the 1-hour time frame. Boo! It seems to me that EUR/USD just ranged during the week. 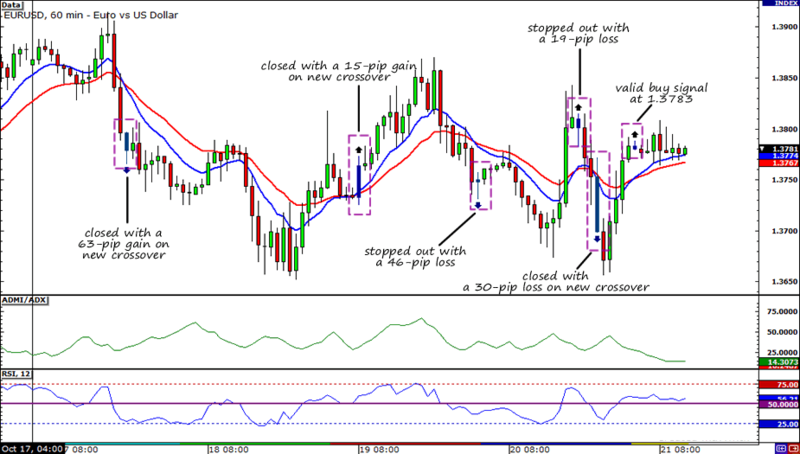 The system generated 6 valid signals, with only two winners, three losers, and one trade still open. These trades translated to a small net loss of 17. But eh, I’m not too bummed out about it. Every system incurs losses and my HLHB Trend-Catcher system is really no exception. I guess the craziness all rooted from the ever-shifting market sentiment. One moment the market’s all happy and optimistic about the global economy, the next they’re all gloomy and melancholic! The market’s as moody as me when I’m about to have my period (I apologize in advance for the metaphor). I guess that’s just how the forex ball rolls. As a trader, I have to always keep my eyes open and be aware of the shifts in sentiment.